Hi. 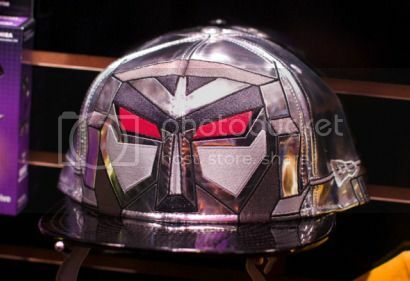 I’m the Megatron baseball cap from New Era. I’m a stain upon fashion that will poison your eyes with ludicrousness. At $49.99, I’m about $45 too much to even count as a gag gift. Via Fashionably Geek, who doesn’t like your hat if it doesn’t blind him in the sun. The primary problem is that it looks less like G1 Megatron than an evil Twiki. If I see someone wearing it I will make a point to reply bidibidbidi!